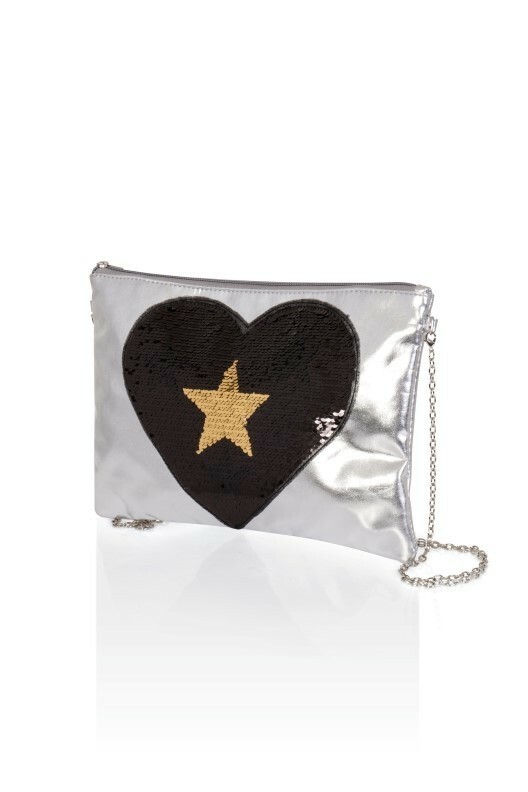 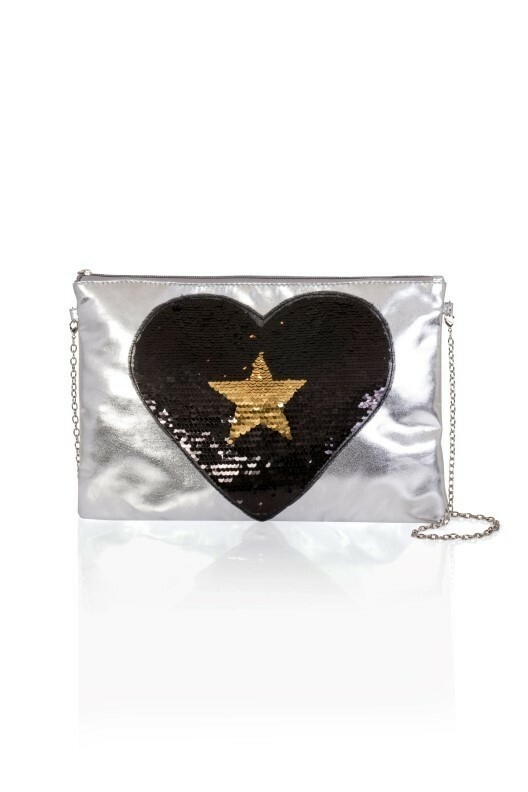 Small sequinned silver black heart and gold star clutch bag with chain strap and zip fasten. 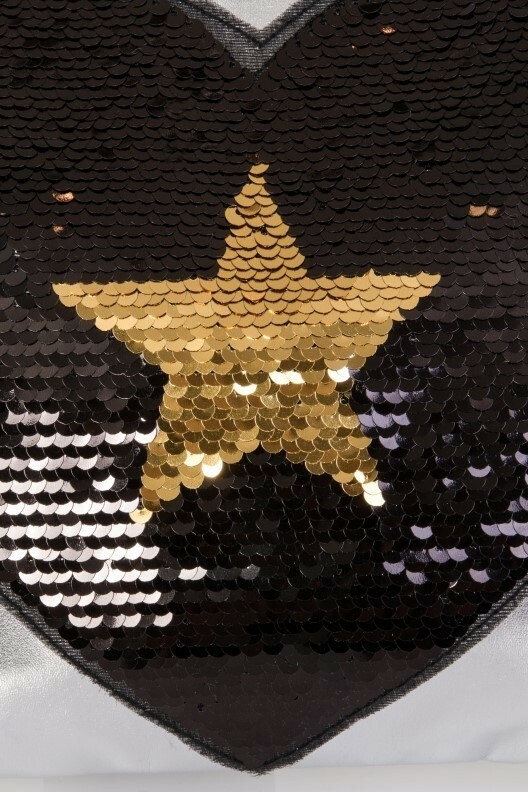 Measures 30cm X 20cm. 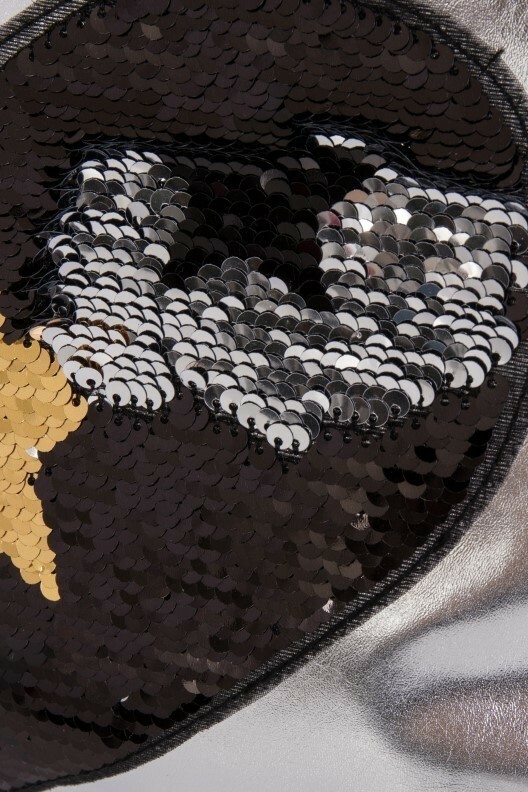 One size pack of 12.